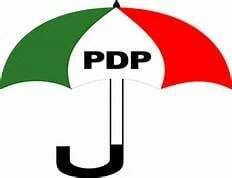 With scores of aspirants preparing to do battle on December 9 for the national executive posts of the PDP at its national convention slated for Abuja, the leadership of the party has set up fourteen committees that will organize the exercise. All the 11 governors elected on the platform of the party are members of the committees. The fourteen committees are made up of 1,706 members. Governor Ifeanyi Okowa of Delta State will lead the 87-member Convention Planning Committee. The largest committee is that of Entertainment and Welfare, which has 248 members followed by the Venue and Protocol Committee with 238 members. However, the issue of the chairman of the convention was still undecided due to concerns over the neutrality of the person that had been proposed by the National Caretaker Committee (NCC). According to a source, the caretaker committee had proposed the Akwa Ibom State Governor, Udom Emmanuel, as chairman while the Governor of Gombe Ibrahim Dakwambo was tipped to assist him as vice-chairman. About 2,800 delegates would be attending the convention, though the number might increase after the conclusion of congresses in Osun State.